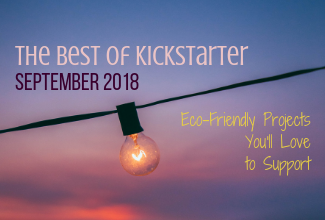 Every month, Paws and Pines curates a list of the most interesting crowdfunding projects that are currently looking for funding. We love supporting innovative entrepreneurs who are helping to improve the world thru eco-friendly projects and sustainable products. If you do as well, check out the following projects highlighted for September 2018.